Basil M.K. 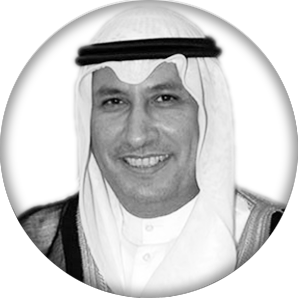 Al-Ghalayini is the Chairman and CEO of BMG Financial Group (“BMG”), Previously, he was Managing Director at The International Investor, London, UK, and prior to that, he was with the Investment Management Division of The National Commercial Bank of Saudi Arabia in Jeddah and London. Since BMG’s inception, Al-Ghalayini has been acting as team leader for equity and debt capital market transactions such as Rights Issues, IPOs and Private Placements, as well as leading a Government mandated assignment for the comprehensive review of the insurance sector in order to arrive at a set of recommendations for the sector’s eventual consolidation. He is also a frequent participant in official business delegations representing the private sector of Saudi Arabia. Al-Ghalayini is the Chairman of Authorized Persons 5th Committee (Advisors and Arrangers). He is the Chairman of AkarOne in KSA. He is Non-Executive Director of BMG Wealth LLP in the UK. He is the Chairman of BMG Foundation. He was the Secretary General of the Arab Bankers Association of the United Kingdom, Vice Chairman of Saudi-British Businessmen Council and Chairman of Saudi-Syrian Businessmen Council. He received his B.Sc. degree from King Saud University, KSA, CSS from Harvard University, USA, and IMD from London Business School, UK. Mohamed Yousuf Naghi is the Chairman and CEO of Yousuf Naghi & Sons Group Companies. He is an active member of Chamber of Commerce and Industry in Saudi Arabia. He is also a member of the National Committee of Haj, Umra and Tourism. Mohamed Yousuf Naghi's significant efforts and personal integrity have successfully developed and extensively promoted the marketing of HYUNDAI cars, KIA commercial vehicles and LG electronics increasing consumer brand awareness and market share. In July 1998, he was assigned by the Korean Government as the Honorary Consul of the Republic of Korea in Jeddah. This appointment reflects the appreciation of the Korean Government for the efforts and achievements made by Naghi and The House of Naghi on behalf of Korean companies and their shared mutual commitment to future success. Naghi completed his university studies in Economics from the United Kingdom in 1981 and then joined the family business. Aladdin Saba is a Partner and Director at BMG Financial Group, and is mainly responsible for IPO activities and equity research coverage of the Saudi market. Previously, he co-founded Hermes Financial, a leading investment bank. 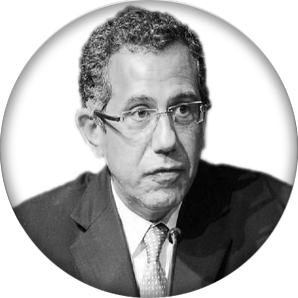 He is a board member of Banque du Caire, EFG-Hermes, and three international investment funds. For three consecutive years, he has been a member of the Board of Directors of The Cairo and Alexandria Stock Exchange. He is President, and founding member of the Egyptian Investment Management Association, and founding member of The Egyptian Capital Markets Association. He is a board member of Egypt's International Economic Forum, American Chamber of Commerce, British Egyptian Business Association, the Egyptian Businessmen's Association, and is head of its Stock Exchange committee. Saba holds a B.Sc. degree in Biomedical Engineering from Cairo University (1981), an MBA from Wharton (1986), and an MSE from UPenn (1983). 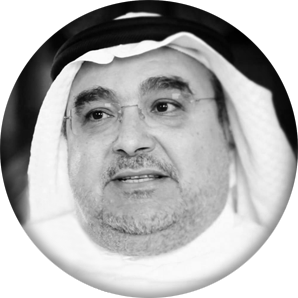 Abdulaziz Ibrahim AlNabhan is currently Chairman and Managing Director of Al-Ahlia Gulf Holding Company. He previously joined KIP Co. as President for fifteen years. During the 1997 Burgan Bank privatization, he was elected as Chairman until appointed that and MD in 2000. 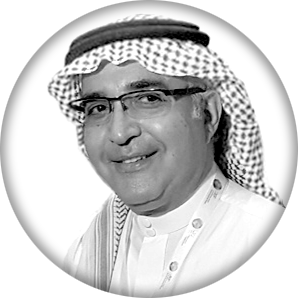 He joined Al-Ahlia Investment Co. (2003) as MD of Investments. Also, he is the Chairman of Dragon Fund and Director of Europhenix, Luxemburg. A director in: Sassoon Holdings, Singapore, Hunter Capital Group, Utah, Arab Bankers Association and United Gulf Management Ltd., London, Kuwait Asia Bank, and The United Gulf Bank in Bahrain. In 1984 and 1986, he obtained the Securities Industry Certificate from New York Institute of Finance and Diploma from The Association of International Bond Dealers, Zurich, respectively. AlNabhan graduated from USC, USA (1983) with a B.Sc. in Industrial and System Engineering. In 1994, he joined Harvard Graduate School of Business and completed the Executive Program for Management Development (PMD).